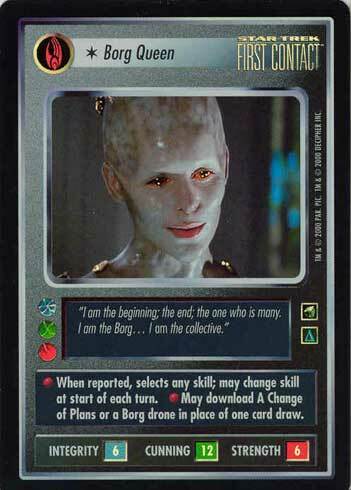 "I am the beginning; the end; the one who is many. 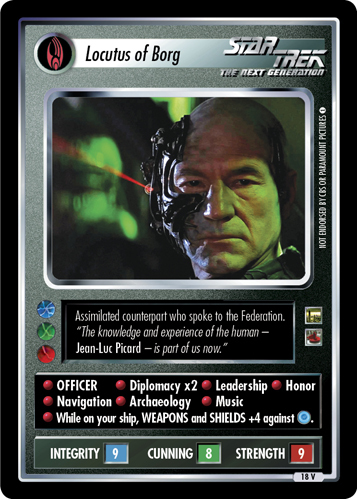 I am the Borg.... 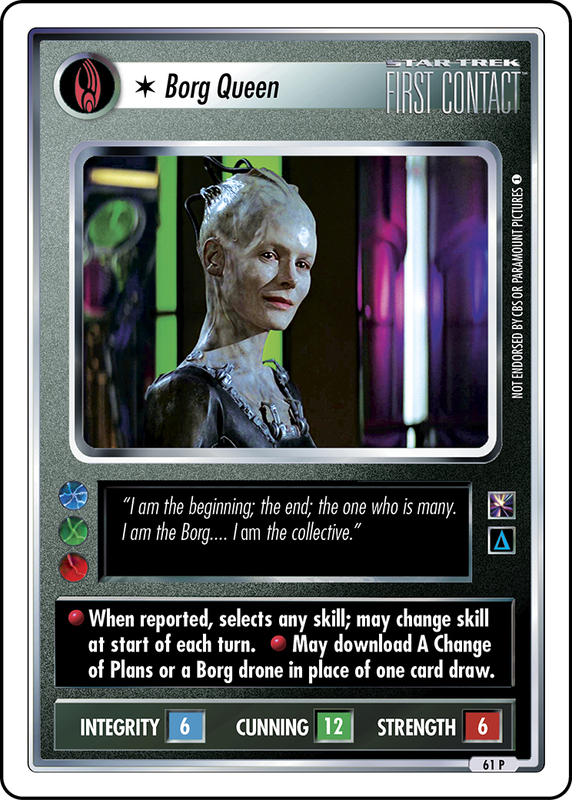 I am the collective." 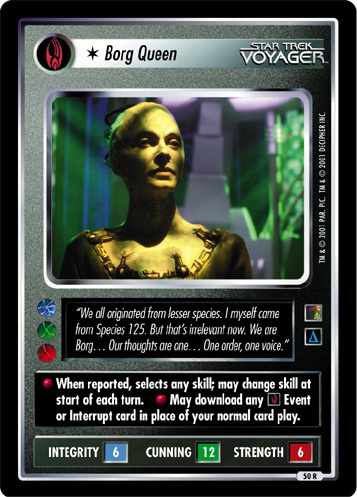 • When reported, selects any skill; may change skill at start of each turn. 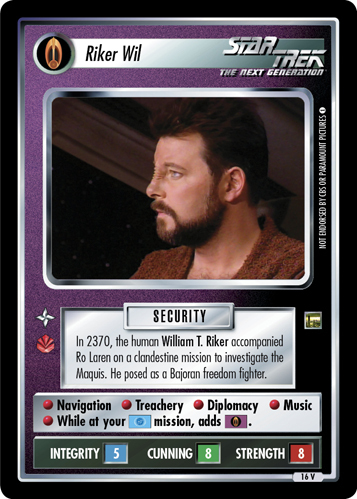 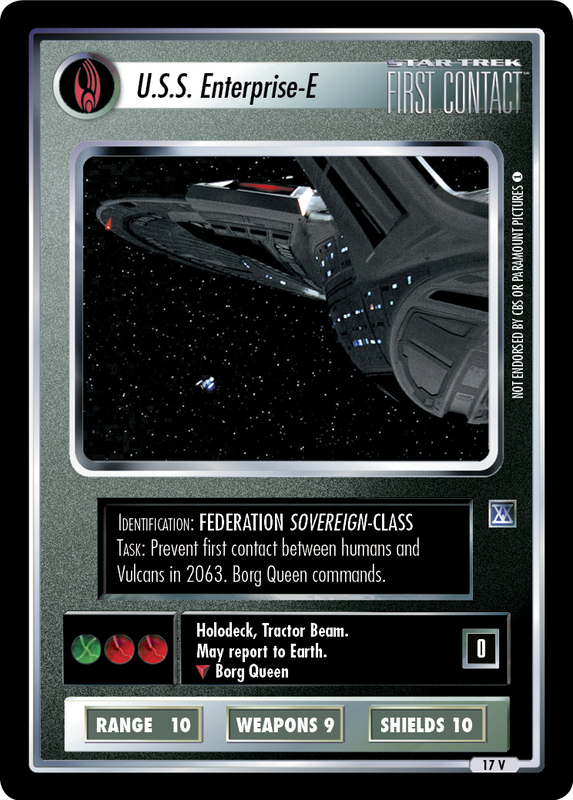 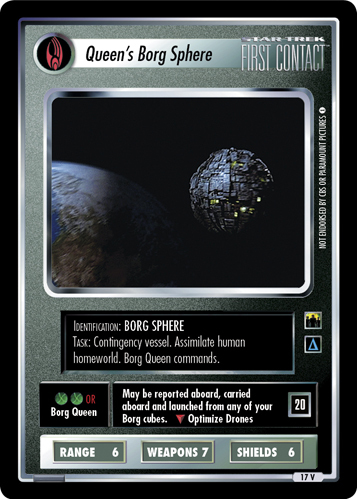 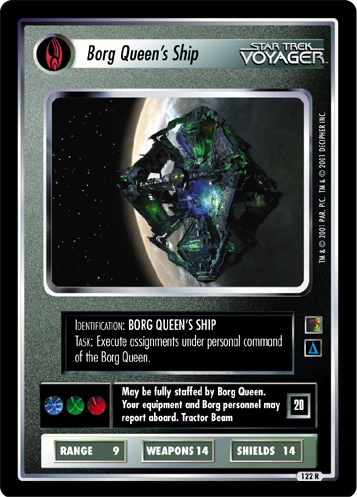 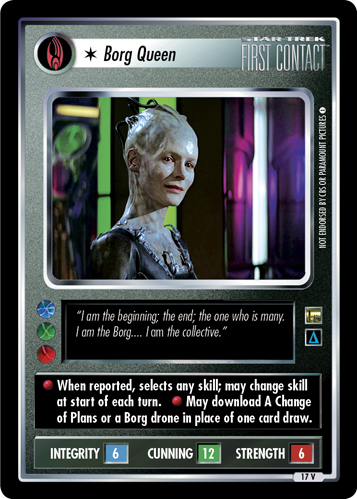 • May download A Change of Plans or a Borg drone in place of one card draw.